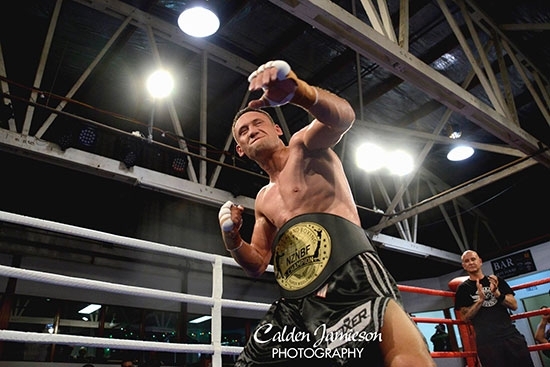 Jordan “The Terror” Tai is now the new NZNBF Super Middleweight Champion. Sam “2 Guns” Loli was elusive and volatile but the persistent pace and terror from Tai was too much resulting in a RD 8 stoppage and crownage of former kickboxing and now NZNBF boxing champion Jordan Tai. Nik “The Greek” Charalampous stalked Sivan for 6 stretched rounds, throwing venomous left body, left hooks. Sivan Hermez showed dexterity to hold on until the end with the final bell shot from the Greek that sent him sailing along the canvas. Sam “ The Terror” Rapira showed all class with former Samoan Boxing team representative Vaimoli Kuresa Loelu. Back on the winning wheel Rapira looked comfortable, controlling the ring and choosing when to throw and unleash well timed execution style shots. Zane “The Hydbrid” Hopman put a clinical display, although getting heavily rocked by Smiley he relied on reach and ring experience to earn a win over the explosive and one to watch Navosa “Smiley” Ioata. Prominent displays included Sean “ The Real Deal” Collins opening up the night with a harsh exhibition and literally lighting a firework for the crowds expectations. Daniel Tai and the “Fobfather” Felise Leniu put on a clash of titans with both men slinging leather till the final bell and Conrad “Friday 13th Lam demonstrating pure pugilistic fashion with a unanimous win over Joe Sefo.